Some notable party chieftains engaged in popularity supremacy at Magajin Gari ward ‘B,’ Shiyyar Danfarijo polling units 005 and 009, where supplementary polls are taking place. This led to chaos in the supplementary poll for the Sokoto North local government area of Sokoto. The presence of party chieftains, Murtala Daniya of the Peoples Democratic Party (PDP) and two All Progressives Congress (APC) chieftains, Abdullahi Hassan, a one time chairman of Sokoto North LGA and APC youth leader, Nasiru Italiya, at the polling centre disrupted the process. 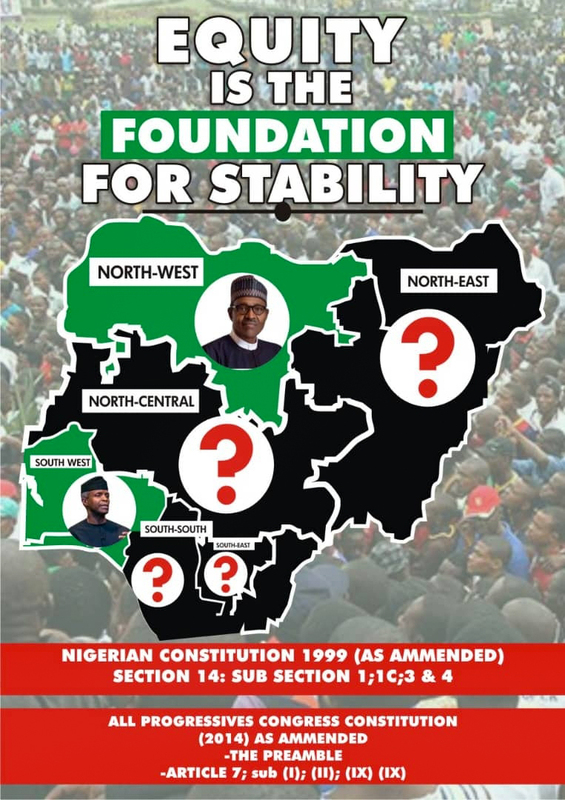 The News Agency of Nigeria (NAN) reports that Mr Daniya who was among the early voters, displayed his ballot sheet to the public, a situation that led to the throwing of sand and objects at INEC officials, security men, and the party chieftains. The presiding officer, Otu Cassius, told NAN that they reported for election duty as early as 7 a.m. and screening and voting commenced simultaneously as there were no hitches with the card reader. Cassius, a National Youth Service Corps (NYSC) member, said the processes went well until the incident. A PDP agent at the polling unit, Bashiru Abdulkadir, told NAN that it was right for Mr Daniya to publicly display whom he voted ”because even a presidential candidate did it after voting in the just concluded presidential election”. However, the APC agent, Muntari Muhammad opposed the position. 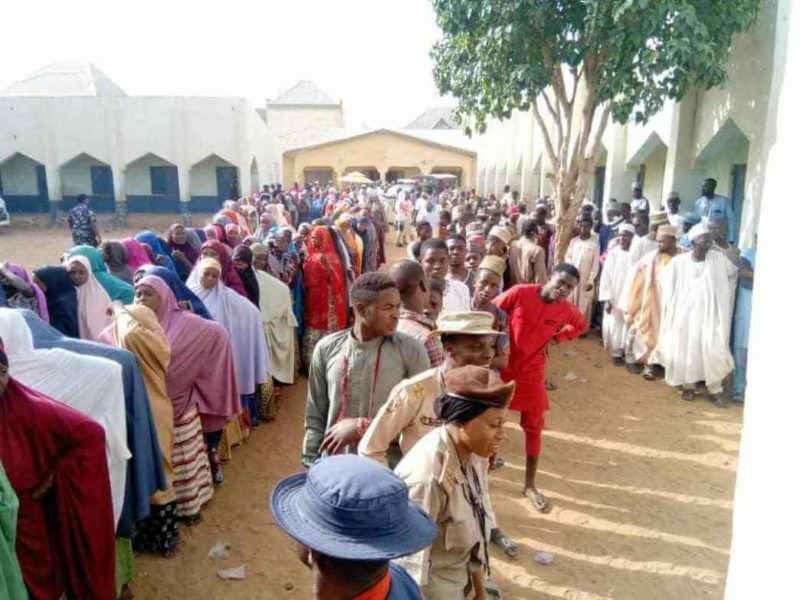 The presiding officers at the units, Ahmad Hassan and Sa’adatu Adamu, said they reported early and election commenced at 8 a.m.
APC State Treasurer, Haruna Adiya, who voted at Kyafe polling unit 008 in Magajin Rafi ward ‘B’, urged authorities to deploy more security men to regulate the rowdy situation. Zakari Umar, the Supervisor of Domestic Election Observer in Sokoto North LGA, said the processes were orderly. Mr Umar, who is from YIAGA Africa, said incident forms were being compiled to be reported to relevant authorities. The situation led to the arrival of the State Commissioner of Police, Garba Danjuma, and other security chiefs at the polling unit. Muhammad Sadiq, the Police Public Relations Officer (PPRO) assured that the situation was under control. In separate interviews, the state Commissioner of Finance and Higher Education, Sa’idu Umar and A’isha Madawaki urged security agencies to remain vigilant in ensuring the success of the re-run.